While the introduction of a new cruise ship is always an exciting event, the launch of ms Koningsdam last year was one of the more exciting events. 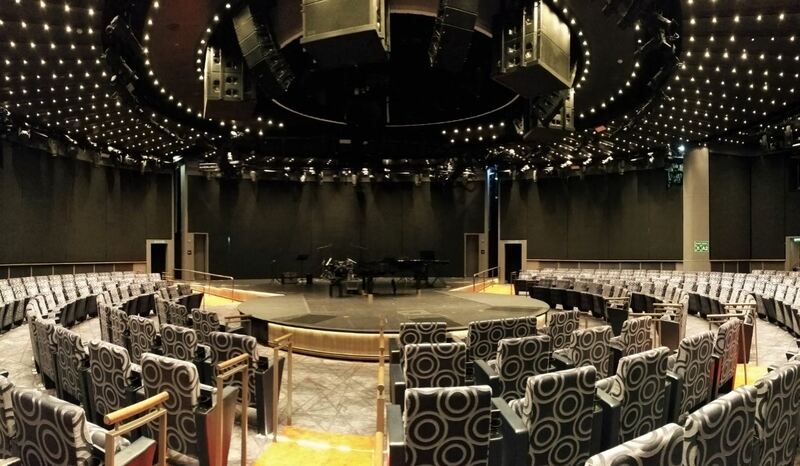 Curious about Holland America Line‘s most recent and innovative vessel we recently boarded Koningsdam for a musical discovery. As we board Koningsdam we immediately notice the new design approach for Holland America Line. Heavily influenced by what the cruise line describes as the “architecture of music” the ship’s interior focuses on fluid curves and graceful lines, light-filled spaces and the natural flow of public areas. 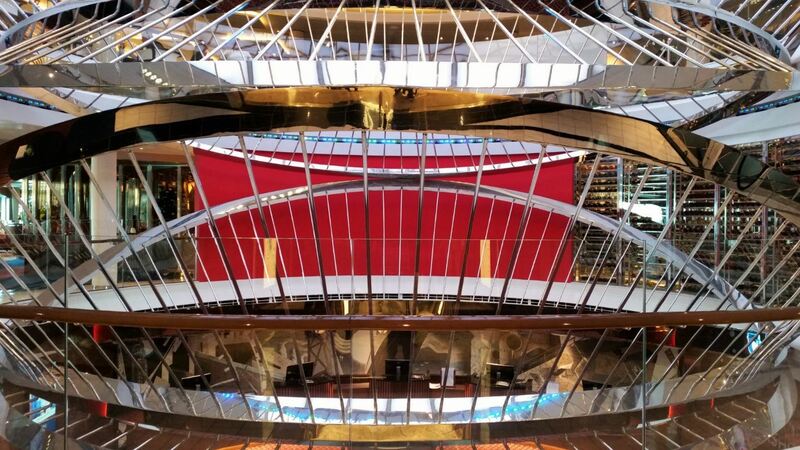 For example, at the heart of the ship designer Adam D. Tihany graced the central atrium with a three decks high airy stainless-steel sculpture representing the synthesis of a string quartet. The iconic Queen’s Lounge was inspired by the sensual curves of a violin and features extensive use of wood, fluid waveforms and light. 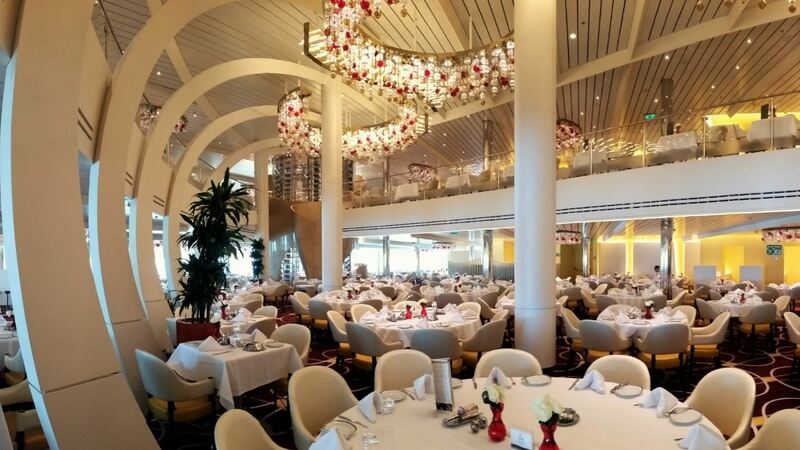 Similar fluid lines can also be found inside the main Dining Room onboard Koningsdam. Spanning two floors with endless seaviews, the bright interior is marked by curved pillars leading up to the ceiling with colourful glass light fixtures. At the center of the room stands a curved copper sheath surrounding a two-story wine tower. 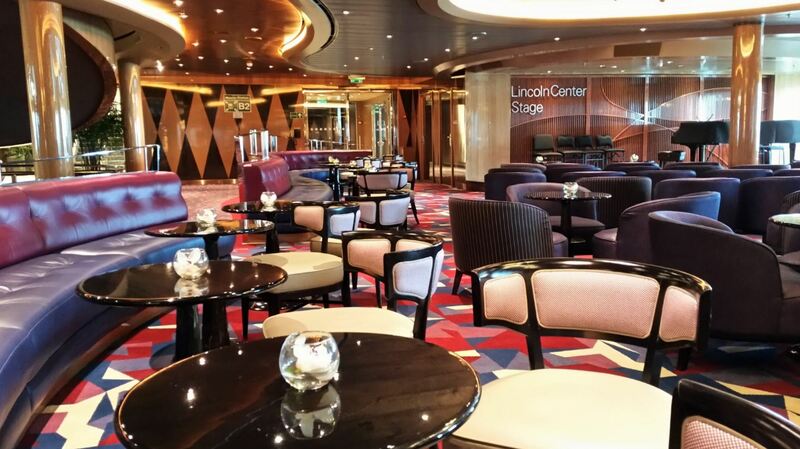 Onboard Koningsdam, Holland America Line has lifted the entertainment to a new level with the introduction of Music Walk, a collection of bars and lounges connecting the Atrium and World Stage on Deck 2, the Plaza Deck. All genres of music are showcased in venues such as Lincoln Center Stage, where classically trained musicians perform chamber music, Billboard Onboard, where live musicians rock the crowd with chart-topping hits and the popular B.B. King’s Blues Club, in the Queen’s Lounge, where the best of blues music comes to life. The Music Walk has proved so popular with guests that Holland America has decided to introduce it, together with some other Koningsdam innovations, onboard their other ships. 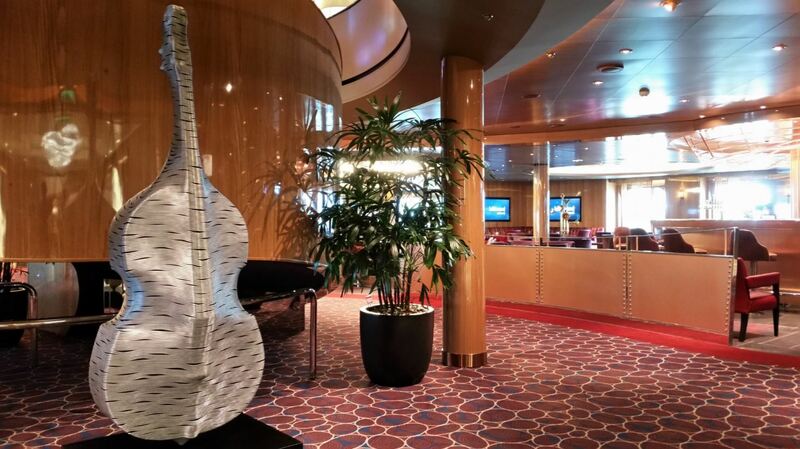 The first ship to be upgraded with a Music Walk is ms Westerdam. For more details on the Westerdam makeover visit “Holland America goes interactive with Explorations Central and Rijksmuseum at Sea“. 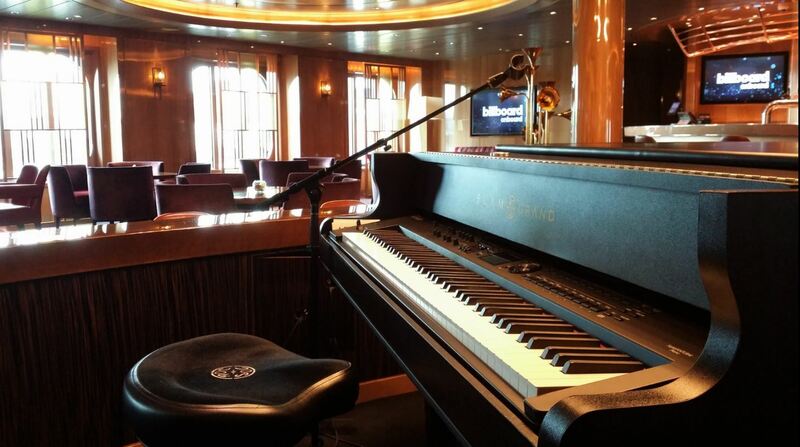 Another innovation onboard Koningsdam can be found inside the main theater. Appropriately named World Stage, the theater can change from an Italian palazzo – perfect for afternoon concerts – to an imaginary world for innovative production shows at night thanks to a two stories high, 250 feet long and 270-degree wall of high-definition LED screens. Inspired by music and the elegant lines of musical instruments, the introduction of Koningsdam illustrates Holland America Line has entered a new era of elegant cruising while honouring the tradition and nautical heritage for which the upscale cruise line is known.